Lees are dead yeast and other particles that precipitate out to the bottom of a vat during fermentation. Lees collect both during the primary and secondary fermentation as well as during the post fermentation clarification process. Most of the gross (i.e. coarse) lees will precipitate out by the end of the secondary fermentation and are removed by racking the wine at each stage of fermentation. 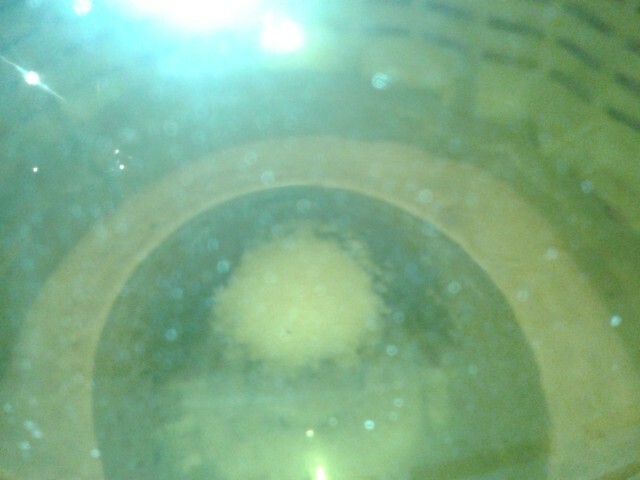 Gross lees at the bottom of a 60L barrel. Gross lees are thick, lumpy and when viewed up close they look — well — rather gross. 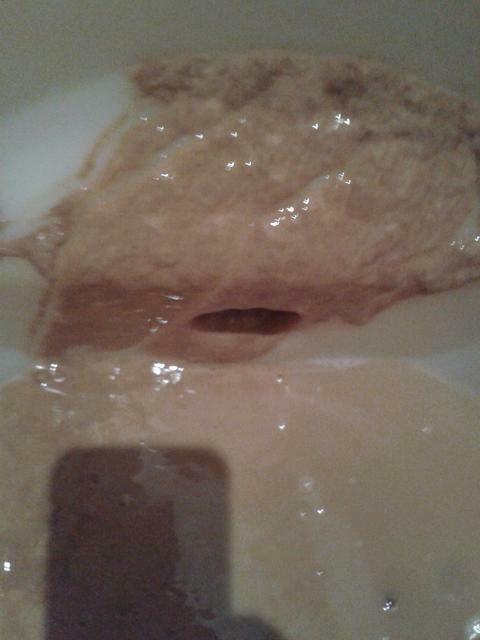 Close up of gross lees at the bottom of a 60L barrel. 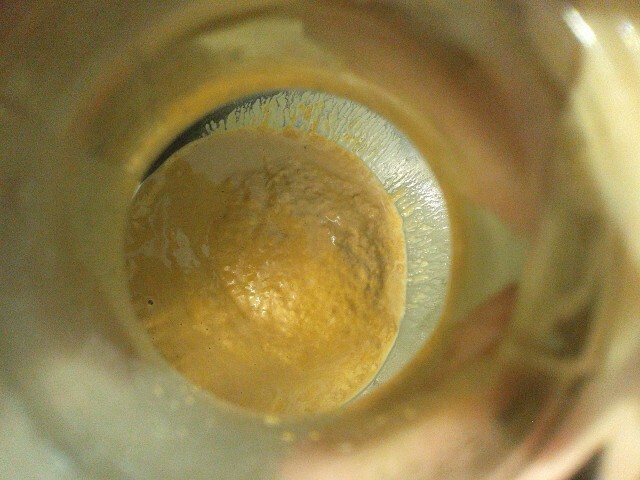 Looking at gross lees through the neck of a glass carboy. With most wines it is important to get the wine off the gross lees as soon as possible after fermentation is completed, else the lees can add bitter tastes to the wine. Most of the gross lees are removed from the wine at the second racking, which usually occurs within a month or two of picking the grapes. I also do a third, end of the year “Christmas” racking of the wine to remove the fine lees. Fine lees occur after fermentation and during the settling and clarification of the wine. The fine lees are softer, and more powdery than the gross lees. After the third racking the wine is drinkable, but not aged. So the wine is sealed again in a large vat for a few more months of bulk aging. It takes time to progress a wine towards its full and proper potential. Fine lees at the bottom of a glass carboy. Close up of fine lees in glass carboy.